Car accidents typically occur when you least expect them, and they result in time lost and financial challenges due to injuries that result in time away from work and family. And your situation may be even worse if the individual at fault for the Camden car accident does not have auto insurance. This means the victims are stuck paying for their own medical bills and going after the person for restitution at a later date. The last thing anyone wants to deal with is a lawsuit. But the individual that caused the accident not only injured the parties in the vehicle, but they also took away their ability to work for a certain period of time. Due to this, the negligent, uninsured party should be prepared to face legal consequences when they drive without the proper auto insurance for their vehicle. Below are some of the penalties incurred when caught driving without auto insurance. These situations mean money out of pocket and can lead to jail time if the situation continues to repeat itself. That means loss of income and quality of life for this individual, as well. If you have questions about filing a claim for your Camden car accident, contact the Connell Law Firm today! Driving without insurance in South Carolina is a misdemeanor. Fines range from $100 to $200 if you are pulled over by the police and you cannot present any proof of insurance. Another potential consequence is the loss of registration and the license plate for the vehicle. A $550 Uninsured Motorist Fee may also be levied against the individual without insurance. This is for the first offense. For a second offense, the individual will face a $200 fine, with $5 per day added for additional time spent without insurance. Meanwhile, the license and registration may be suspended, and the individual may be sentenced to up to 30 days in jail. For a third offense of driving without insurance, the individual will be fined $5 per day for every day without insurance. They could face 45 days to six months in jail, and their license and registration may be suspended. At each level of the offense, a $200 reinstatement fee will be required. 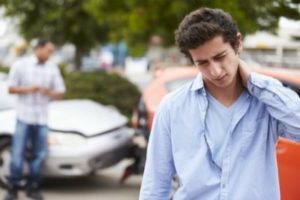 How Can an Attorney Help Me with My Camden Car Accident Case? When it comes to an accident where the individual responsible does not have insurance, then it may become necessary to pursue legal recourse. A Camden car accident lawyer can help you gather evidence and keep track of medical bills for any injuries caused by your collision. Getting into a Camden car accident can be costly and stressful. For your family members and your own well-being, it is wise to get in touch with a car accident attorney to help with the bills and financial details following an accident. This allows everyone to focus on recovering and living life to the fullest with the second chance you were provided. Car accident lawyers with years of experience can help you determine the logical progression of a lawsuit and pursuit of restitution following a car accident. They can also help fight for justice in the event that your case becomes more challenging, using their knowledge of past cases to make sure your claim is properly taken care of from beginning to end. Gathering evidence immediately after a car accident in Camden is important. Many people need time to process what happened and evaluate who is hurt and how badly. Then, it is important to gather names and contact information for everyone involved and any witnesses who watched what occurred. The accident is a starting point, and a lot of the future is going to depend on the way the immediate aftermath is handled. There were traffic accidents every 3.9 minutes in 2015, according to the 2015 South Carolina Traffic Collision Fact Book. Every 13.9 minutes, someone suffered injuries following a motor vehicle accident, and every 9.6 hours, someone died in a crash involving a vehicle. Meanwhile, Every 2.9 days, on average, a pedestrian was killed in an accident. Every 2.6 days, a motorcycle rider died, and every 22.8 days, a bicyclist was killed. October was the busiest month for crashes in 2015. This means accidents involving motor vehicles are far more common than you would hope. These accidents far too often involve people who have let their insurance lapse and continued driving despite that fact. They also involve serious injuries, which are compounded by concerns related to medical bill payment and the stress of time spent in the hospital. Cases in Camden tend to take a long time, but they also have to have things done in a specific order and by a specific timeline. This timeline is well-known to a Camden car accident attorney. Enlist the help of a car accident lawyer you trust to gain the assistance you need to deal with collecting your medical records and organizing information for a lawsuit against the negligent driver. The specific details about your case can make a difference in how it is handled and what information is pursued. That is why it is important to reach out to a Camden car accident attorney whenever it becomes possible. From the initial collection of information to your day in court, your attorney can be at your side to help you seek the compensation you deserve for your personal injuries as well as any property damage that resulted from the car accident. After your car accident, you should focus on recovering and being with your family. Let an attorney deal with the paperwork and evidence needed to build your case. Contact Connell Law at 803-310-5700 to discuss your case. The specific circumstances of your case can give your South Carolina legal representative a clear idea of how you can proceed with filing a claim. This means you are one step closer to receiving the compensation that you deserve. Find answers to your questions about filing a car accident claim against a driver that has no insurance when you reach out to us today.